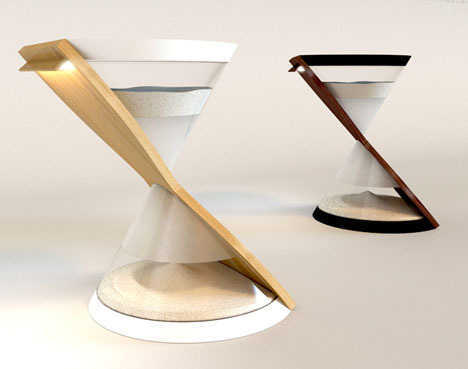 Traditional timepiece meets inventive illumination in this human-powered hourglass lamp that draws its energy elegantly from grains of falling sand. 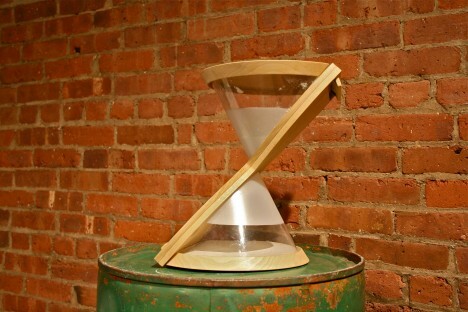 Designed by Danielle Trofe, each fixture pivots around a central point so users can easily rotate the wood-and-glass core, thus refreshing the timer and turning the light back on each time it runs out. 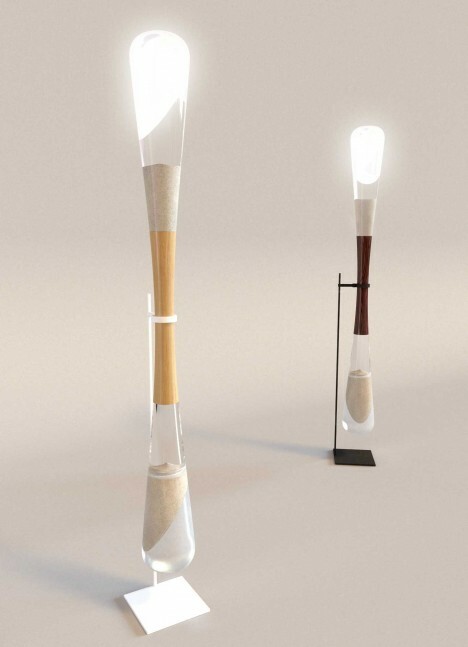 Both conceptual renderings and the actual prototype are shown above – according to their creator, relatively little efforts is required to turn the device and brighten a room. 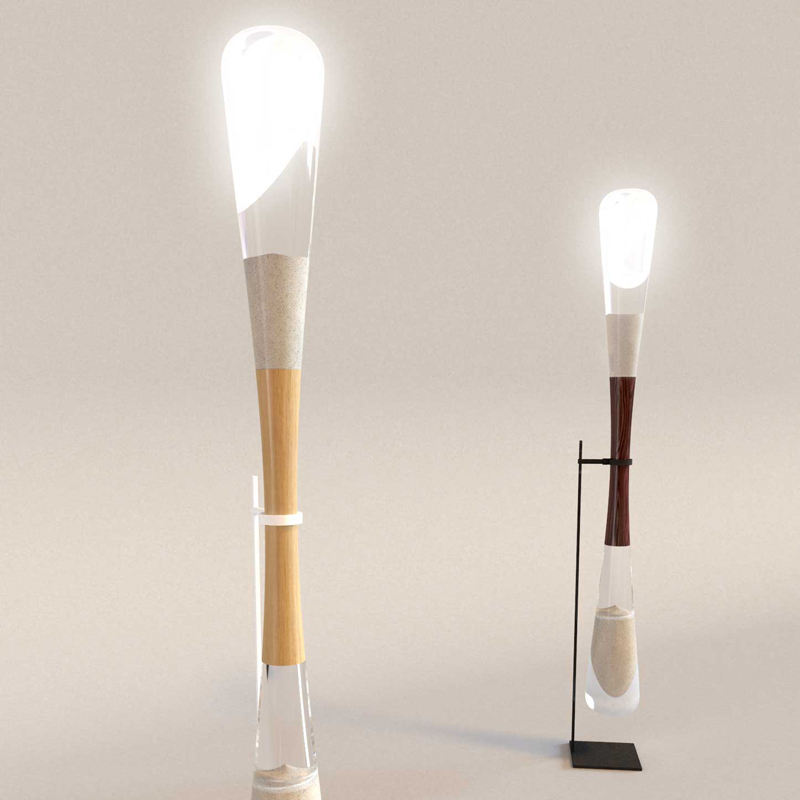 A larger and longer-lit variant comes in the form of a table, essentially an extension of the same design but in a multi-functional format that is potentially more stable and robust. 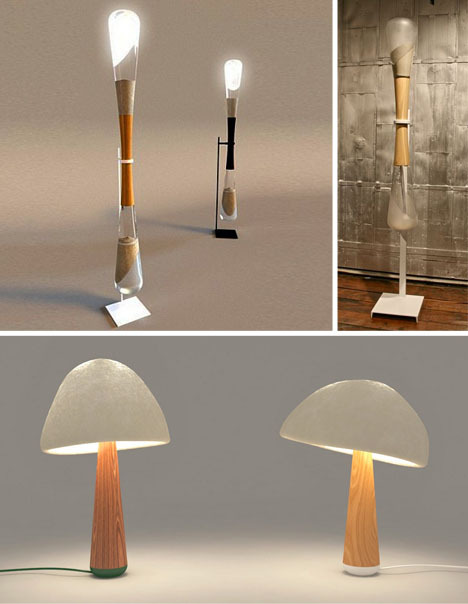 Other works by Trofe include the above mushroom-shaped lamps (Mush-Lume), which is built from agricultural byproducts (including mushrooms) and seems to balance precariously on its base.